We are passionate about good and award-winning olive oils of South Africa – so passionate that we published this article with information about how consumers get tricked into buying the wrong oils and we also suggest a buyer-guide to help you choose the right olive oils. Most of our local oils are far better, better value for the price per litre and better tasting than the cheaply imported gunk. Please read the labels! “Harvested in Spain, Grown in Greece, Product of Italy” all on one label, can certainly not be real or trusted! Award-winning Olive Oils of South Africa spoil us for quality and choice! Olives and Olive Oils are made in a wide variety of styles and areas in South Africa. Many of these magnificent and hardworking farms also produce excellent Award Winning Wines South Africa. Our Favourite Excellent Olive Oil producers. RIO LARGO OLIVE ESTATE, an award-winning estate, is situated in the Scherpenheuwel valley between Worcester and Robertson on the southern banks of the Breede River. Owned by Nick and Brenda Wilkinson, it comprises olive orchards, vines, an olive specific nursery and a state of the art OLIOMIO olive processing and bottling plant. The terroir, with water on demand from the Breede River and Brandvlei Irrigation System, is perfect for olive growing with high sunshine hours, cold winters and minimal disease. At Willow Creek Olive Estate they celebrate all that is ‘olive’, revelling in their quest to produce world-class delicacies from this multi-faceted fruit. Since ancient times olives have been associated with prosperity and vitality, while the olive tree itself is a revered symbol in religion and many cultures. Providing shade, shelter, sustenance, serenity and beauty, these venerable trees offer a myriad of benefits. Join them as they explore the wonderful world of Willow Creek oils and olives with the motto: Create excellence, taste purity, live deliciously! Most aficionados of the Godfather movies, will recall how Don Vito Corleone built up a successful olive oil importing business, which he used as a legal front for organized crime activities. The movie and book mirrored real life New York mafia boss, Joe Profaci, who protected himself from federal tax evasion charges by maintaining an olive oil business as a front for the proceeds of traditional mafia money spinners like extortion, heroin smuggling and protection rackets. He was known as the Olive Oil King. Olive oil fraud has been around for millennia. The Romans had a sophisticated system in place to protect their lucrative trade in the amber liquid. Ancient Roman amphorae have been found bearing tituli picti, stamped inscriptions which recorded information about where the oil was produced, the name of the producer, weight and quality of oil when sealed, the name of the merchant who imported it, etc. All of that to prevent theft or substitution with an inferior product en route, because olive oil was big business in those days. Some emperors even rose to power on the wealth derived from it. Just at one facility in Monte Testaccio, the Romans stored twenty-five million amphorae that held 1.75 billion litres of olive oil. Two thousand years later, the picture hasn’t changed much, except that the fraudsters are getting bolder and more inventive. Spain is still the biggest producer of olive oil in the world and guys with Italian names are still cropping up in reports, albeit the police type of reports this time around. And olive oil is still big business … just the global market for extra virgin olive oil is worth about $12 billion (based on International Olive Council production estimates and current spot prices). Self-styled food experts from San Francisco to Cape Town have been choking on their amuse-bouches at the affront, not that nine out of ten of them could distinguish between a Frantoio or a Hojiblanca cultivar. In 2010 the University of California Davis, in collaboration with an Australian laboratory, found that 69% of imported olive oil labelled ‘extra-virgin’, did not meet international and US standards, in most cases due to adulteration with cheaper refined oil or poor quality oil. Thus backing up most of the conclusions reached by Tom Mueller a few years earlier. Then in 2011, another investigation revealed that Italy (the world’s second largest producer) was importing more olive oil than it was exporting – 470,000 tonnes versus 250,000 tonnes. Unscrupulous producers were apparently mixing in cheaper oil from Greece, Spain, Morocco and Tunisia and selling it as high quality extra virgin oil. Mmm….maybe put two and two together and we get four? Nope, unperturbed by the investigations, Italy claimed EU subsidies for more olive trees than could be planted on the surface area of Italy. Not surprisingly a 2007 EU investigation found that 95% of all known misappropriations of EU agricultural subsidies occurred in Italy. If the pernicious odour of organised crime and institutional corruption has not started to fill your nostrils, then get a hold of Mueller’s book. If nothing else, it reads like a Mario Puzzo crime epic with some interesting historical references thrown in for free. Other countries are not so innocent either. In 2011, two Spanish businessmen were sent to prison for selling fake extra-virgin olive oil that turned out to be 75 per cent sunflower oil. So what’s the big deal? Olive oil is olive oil, and it’s only a bunch of food snobs that really care if its extra-virgin, virgin or whatever. Well, actually, no. First of all honest producers are not getting a fair price for their high-quality extra-virgin oil, which is much more expensive to produce than cheaper, lower grade oils. Furthermore, only virgin oil contains the high levels of antioxidants that have been linked with better health. Things can get even more out of hand. In the early eighties, toxic oil killed over a 1000 Spaniards and injured thousands more. It is an issue that affects everyone on an economic, physical and ethical level. So what is the situation in South Africa? First the bad news. There have been a few instances of olive oil fraud over the past few years. In 2001 the SAPS investigated several countrywide multi-million Rand extra-virgin olive oil scams in SA. After testing was done the results indicated that all of the confiscated oils were sunflower oil and not olive oil. One particular sample contained a colourant known as Lipo Green LT, which according to the manufacturer is used in petrochemical solvents and in solvents that are used to clean motor engines. SA Olive – an association representing the olive industry in South Africa – recently commissioned a test by the International Olive Council of a random sample of seven South African and 23 imported extra virgin olive oils. Whereas none of the local oils showed any sign of being tampered with, 26 percent of the imported oils were fraudulently bottled as extra virgin. A sure sign that the South African market is not exempt of EU exporters’ tactics to use emerging markets in order to dump low-quality surplus oil at low prices. The good news is that South Africa produces only extra-virgin oil for consumption and the SA Olive Association applies strict quality control. Morgenster Estate, outside Somerset West in the Western Cape, has been rated 97 out of 100 for four consecutive years by Flos Olei, an international guide. One of only seven producers in the world to achieve that. The global olive oil market is one of the fastest growing segments of the global food industry, and South Africa is no exception with 20 percent growth per year over the past eight years. That said, South Africa is still a minnow in global olive oil affairs compared to Spain, the world’s leading producer, which produces 45 percent, while the Mediterranean region as a whole produces 97 percent, of global olive oil production. At the moment the US is the third largest consumer of olive oil, after Spain and Italy, although emerging markets, including Brazil, Russia, India and China, are tipped to soon be among the largest consumers of olive oil, as people have started recognizing the health benefits of olive oil and have accepted it as cooking oil. Emerging markets have experienced a compound average growth rate of 13 percent over the past 5 years. South African producers only account for about 30 percent of local olive oil sales, despite producing some of the best olive oil in the world. The reason? Subsidies. The EU subsidises olive oil farming and production to the tune of about 2 Euro (R22.70) per bottle. Spain’s olive oil sector alone is currently subsidised to the tune of $1.3 billion. Let’s be honest, South African agricultural produce is generally of a high standard and does not need to stand back for imported products. Seems like the only competitive advantage left to European producers is how to cheat the system and dump inferior products. The olive oil lobbyists in the EU argue that the subsidies keep people in jobs and prevents land abandonment in rural areas. Supply and demand fellas. If you can’t compete on a level playing field, you are obviously not cut out for the farming business, or maybe, just maybe you should be producing something someone actually wants. Less producers would lead to higher prices in the end, rewarding quality producers, not gravy train passengers. And before the banshee wails of protest about unfair competition by big producers start up, there are things like anti-trust and competition laws. Use ‘em. So let’s cut through the crap; the subsidies are an expensive and self-defeating way of keeping the voting cattle in line, they open the flood gates to unfettered fraud, and are a brilliant example of EU hubris about fair trade. Subsidies are NOT fair trade and only result in rewarding mediocrity and unproductivity. Then we are still not talking about desertification due to excess water usage, illegal plantings in protected forest areas and EU citizens having to fork out twice for overpriced olive oil – at the till and via tax for the subsidies. Money that the economically suffering olive oil producing countries of southern Europe should rather spend on growth industries and training programmes. Oh, but that would take political will….my bad. A further challenge is the ignorance of consumers who believe anything they are fed – “as long as it says ‘extra-virgin’ I buy the cheapest one”. Yeah right, Luigi in Italy or Carlos in Spain are going to work their asses off to produce top quality extra-virgin olive oil and then sell it over here for R50 a litre. The problem does not lie with small high quality producers, but with unscrupulous big companies cutting corners, ribbons, rules, regulations, consumer ethics, the whole she-bang. Check for the age of the oil – olive oil deteriorates with age. That means the year of harvest, NOT when it was bottled (that means nothing). The rule of thumb for a good oil is a life span of about 18 months. Dark bottles are a must as they protect the oil from harmful UV rays. 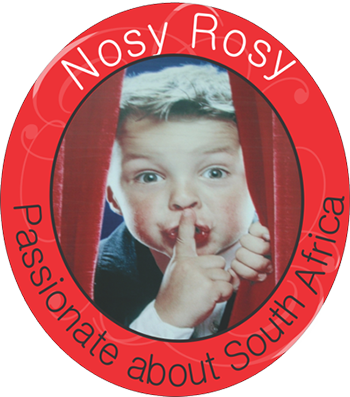 Look for the SA Olive seal – the SA Olive Association has tested it chemically and for taste. Real extra-virgin oil smells and tastes like, well, fresh olives – fruity and aromatic. Don’t be put off by a bit of pungency or bitterness; it is indicative of the anti-oxidants and anti– inflammatories in top quality oil. As long as it is not overwhelming. Retailers have a responsibility as well – for too long SA consumers have been led like willing sheep to the company profit altar. It is their job to make sure that the products they sell adhere to the highest standards of safety, quality and product integrity. The Consumer Protection Act clearly stipulates that there are sanctions for misrepresentation. Anyone hear ‘class action’ on behalf of the consumer? Oh, I forgot, most lawyers are too busy to be concerned with the average Joe Soap’s olive oil issues. Have a look at the olive oil shelves at your nearest supermarket chain. How many brands with the SA Olive seal versus imported brands, that have not been subjected to rigorous testing and/or certification? I did a surreptitious investigation at my local big name supermarkets and the SA brands always seem to hover between 20 and 30%, while most of the imported brands had very vague details on the bottle and the vast majority had no identifiable certification from the International Olive Council. Well here is a novel call to action: email every supermarket executive and ask them what brand of olive oil they have in their kitchen cupboard. Should be a deafening silence in reply. The South African government also needs to pull up its socks. In 2012 the SA olive oil industry applied to the International Trade Administration Commission for an anti-subsidy duty on imported olive oil, claiming cheap, low-quality imported olive oil costs the country thirty thousand jobs. With only 30% of the South African market in local producers’ hands, the argument makes sense, especially considering the government’s stated target of 5 million new jobs by 2020. Well, the application lapsed due to inaction from the Department of Trade & Industry. Fortunately, the pace seemed to have picked up with SA Olive Chairman, Nick Wilkinson, saying last month that the application is now in its final stages. Further initiatives by the industry involve an application for membership of the Extra Virgin Alliance and the adoption of the Australian Olive Oil Standard, which purportedly has stricter quality testing standards than that of the International Olive Council. All of the above are commendable, but it carries the caveat of putting the South African consumer first with regards to ongoing quality and value for money. Getting support from the SA public for a competitive advantage in the local market is not a carte blanche for monopoly forming, unbridled profit taking, ignoring worker’s rights and sliding quality standards. What initiatives have been put in place to empower new entrants with regards to technical know-how and access to funding? Or has the industry positioned itself to protect an elitist interest? The opportunity for growth, both in local consumption and export is there. Per capita consumption is still very low in South Africa: 80 ml per capita per year compared to 24 litres per capita per year in Greece. Finally, it is also up to the consumer to educate him or herself. Today it’s substandard olive oil, tomorrow it’s powdered milk with toxic plastic in it. As they say in Sicily: The buyer needs a hundred eyes, the seller only one. A quick guide to olive oil grades and label wording: Olive oil is classified by how it was produced, by its chemistry, and by panels that perform olive oil taste testing. Virgin olive oil: Comes from virgin oil production only, has an acidity less than 1.5%, and is judged to have a good taste. (Pure) Olive oil: Blend of virgin and refined production oil, of no more than 2% acidity. Usually lacks a strong flavour. Refined olive oil: Obtained by refining virgin olive oils with a high acidity level and/or organoleptic defects with the use of charcoal and other chemical and physical filters. Olive pomace oil: Refined pomace olive oil, often blended with some virgin oil. It is fit for consumption, but may not be described simply as olive oil. It has a more neutral flavour than pure or virgin olive oil. Has a high smoke point, that makes it widely used in restaurants as well as home cooking. Lampante oil: Not suitable as food; lampante comes from olive oil’s long-standing use in oil-burning lamps. Lampante oil is mostly used in the industrial market. Virgin oil production – oil was produced by physical means (press or centrifuge) and no heat or chemical treatment; contains the highest levels of antioxidants that have been linked with better health. Cold pressed or Cold extraction means that the oil was not heated over a certain temperature (usually 27 °C ) during processing, thus retaining more nutrients and undergoing less degradation. First cold pressed means that the fruit of the olive was crushed exactly one time. The cold refers to the temperature range of the fruit at the time it is crushed. It is important that the pressing temperatures remain as low as possible. Visit Reprobate.co.za for many more interesting articles.